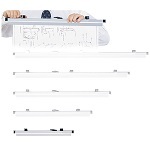 Aluminum Blueprint Clamps offer a convenient way to store blueprints and large format documents for easy access. Works well for Blueprint Storage, Map Storage, Poster Storage, X-Ray Storage, and Art Storage. Compatible with all Alvin, Safco, PlanHold, and Mayline rack systems. 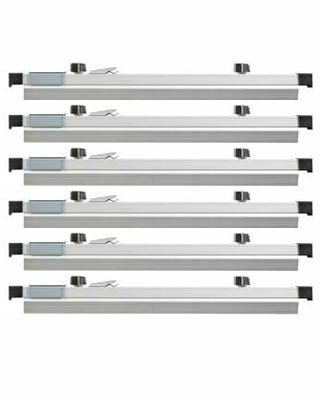 Each clamp can hold up to 100 prints or 20 lbs with a secure grip and wide opening jaws for easy loading. Sold by the box of six.